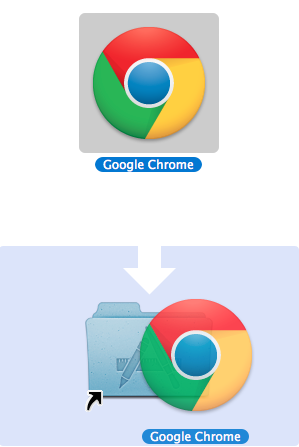 If you need to install or update Google Chrome for Mac follow the steps below. 2. Hover your cursor over "Download", then click "For Mac"
3. On the next page click the blue button "Download Chrome"
4. Click "Accept and Install"
7. If Chrome is already installed and you are updating, you will be presented with the following message. Click "Replace"
8. If you recieve the following message, please go back to Google Chrome and make sure to quit the program by choosing "Quit Google Chrome" from the Chrome menu. 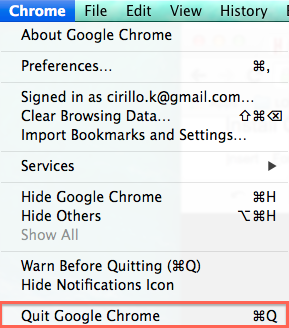 Chrome is now installed and up to date.